It was the alternator it seems. Check it out. Let me know what you guys think. What are the little metal things around the edge? They look like fucked up solder joints. 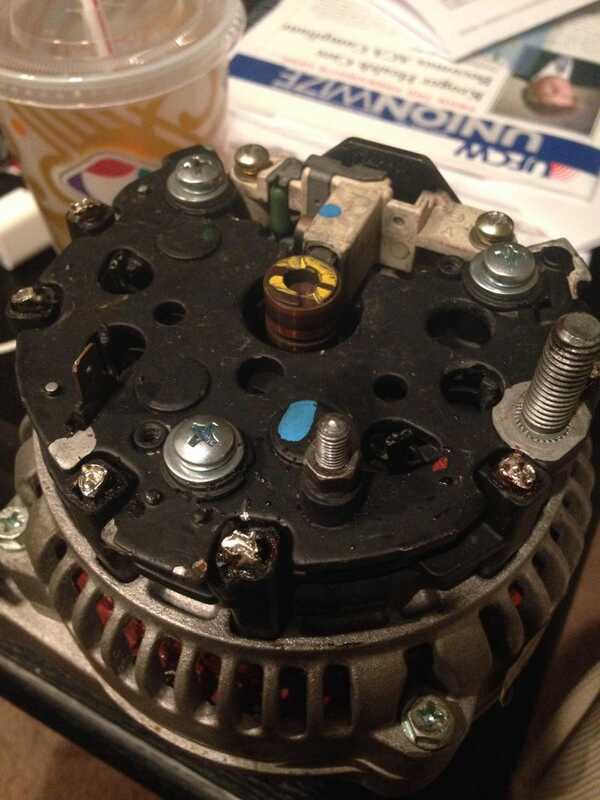 It wasn't even the right part for the W201, and I had to splice a new plug for the new alternator. It tested bad on the bench before the tester even got up to speed. Put the new one, strangely the tester said it was a bad regulator with the new alternator, but it tested good once I drove it some more.